TORONTO — With free agency opening at 12 p.m. ET on Tuesday, the height of the off-season has arrived. Nearly 200 players are set to hit the open market, as the majority of the league’s top pending free agents have remained unsigned. This year’s list offers something for everyone, from three of the CFL’s upper-echelon quarterbacks to three defensive stars that rank at the top of their respective position. CFL.ca breaks it all down with a team-by-team preview. Ed Hervey will probably be on the phone all week, as the BC Lions are expected to be the most active team in free agency. The second-year general manager has left most of his pending free agents unsigned, leaving the Lions with a long list of needs and, not coincidentally, a ton of cap and roster flexibility. The Lions’ depth chart has plenty of holes going into free agency, but the most important one, the quarterback position, is expected to be filled by prized free agent Mike Reilly. The 2017 Most Outstanding Player, who’s thrown for at least 5,500 yards in each of his last three seasons, reportedly received permission to talk to the Lions ahead of the free agent deadline. Despite being 34 years old, Reilly is a franchise-altering talent and would make the Lions an immediate contender under first-year head coach DeVone Claybrooks. But should he sign in BC, he wouldn’t come without a cost, meaning Hervey may have to get creative in filling out the rest of his roster. The top defensive tackle in free agency, Micah Johnson, has ties with Claybrooks after their time with Calgary, while one of the best receivers in the CFL in Derel Walker has spent his entire career catching passes from Reilly. Hard-hitting safety Taylor Loffler and physical offensive guard Sukh Chungh are both originally from BC. All four should be top targets for Hervey, but it’s unlikely he can afford all four. Either way, the Lions’ top needs are clear heading into free agency. While the team has brought back Bryan Burnham for one more season, the impending departures of DeVier Posey, Ricky Collins, Emmanuel Arceneaux and Canadian receiver Shaq Johnson leave the Lions thin at receiver. The O-line will be another priority — especially if the Lions invest in Reilly — though Joel Figueroa, David Foucault and Hunter Steward are all back under contract. The running back position is also wide open heading into free agency, while defensive back is another position that needs some work, with T.J. Lee the only returning starter a day before the deadline. To make a long story short, the BC Lions are the team to watch entering free agency. The biggest free agent domino, the one that will set off all the rest, stands in Edmonton as Mike Reilly decides where to play football in 2019. Reilly has been the face of the Eskimos franchise since arriving in 2013, winning a Grey Cup and Most Outstanding Player while leading the CFL in passing yards and touchdowns. There’s a reason Eskimos general manager Brock Sunderland is reportedly letting Reilly talk to teams early: The quarterback’s decision will directly impact how the team can approach free agency. Without Reilly, who’s expected to sign the richest contract in the three-down game, Sunderland could structure his roster with regards to the salary cap quite a bit differently. Either way, the Eskimos will look like a much different team in 2019. Receivers Bryant Mitchell and D’haquille Williams have already signed NFL deals, while Derel Walker is a pending free agent and may have options in both leagues. Three starters on the O-line in Colin Kelly, Justin Sorensen and Travis Bond are all without a contract. And the defence, which will make the transition to new defensive coordinator Phillip Lolley, stands to lose starters Aaron Grymes, Chris Edwards and Forrest Hightower. Uncertainty at the quarterback position has certainly handcuffed Sunderland to this point, but the Eskimos’ GM has still made some moves. Recent signings Kevin Elliott and Kenny Shaw are proven pass-catchers that could provide significant value next season. Taylor Reed is likely the replacement for J.C. Sherritt, who retired last month. And most importantly, Sunderland was able to lock in pending free agent Kwaku Boateng for the next two seasons, a ratio-breaker coming off a breakout season at 23 years old. Months after the disappointment of missing the playoffs, losing Reilly would be hard for Eskimos fans to swallow. It would be Sunderland’s toughest test yet. But it’s not all bad in Edmonton. There are other options at quarterback that would thrive in Jason Maas’ offence, including REDBLACKS pending free agent Trevor Harris, who has ties with Maas and Sunderland. If the Eskimos don’t feel they could restore Jonathon Jennings‘ early career success, Kevin Glenn, Travis Lulay and Zach Collaros are shorter-term options. The Eskimos’ off-season may be defined by wherever Reilly ends up, but their 2019 season doesn’t have to be. For now it’s in the hands of their third-year GM. If the Stamps don’t get an answer from Bo Levi Mitchell before noon ET on Tuesday, John Hufnagel may face his most difficult challenge since becoming a general manager in 2008. With NFL offers also in play, the franchise quarterback could take his time making a decision, leaving Calgary’s off-season in a bit of a flux. While the defending Grey Cup Champions have a long list of needs to address, Hufnagel and Head Coach Dave Dickenson are unwilling to go into the season with unproven sophomore Nick Arbuckle as their starter. It’s a tough spot to be in, as waiting for Mitchell could cost the team a possible place-holder in free agency. Suffice to say, this off-season will be different for the Stamps’ front office. Traditionally Hufnagel has shied away from spending in free agency, opting instead to sign and develop his own, a strategy that’s paid off for the league’s most successful franchise over the last decade. This time, however, Hufnagel’s hand will be forced, as he looks to replace a number of departed veterans including NFL-bound Alex Singleton, Marken Michel, Jameer Thurman and James Vaughters and pending free agents Micah Johnson and Ja’Gared Davis. Pending FA: QB Bo Levi Mitchell; WR Juwan Brescacin; WR DaVaris Daniels; WR Lemar Durant; WR Bakari Grant; WR Eric Rogers; OL Randy Richards; OL Quinn Smith; OL Spencer Wilson; DL Ja’Gared Davis; DL Micah Johnson; DL Cordarro Law; DL Ese Mrabure; DL Junior Turner; LB Maleki Harris; DB Tunde Adeleke; DB Emanuel Davis; DB Ciante Evans; DB Patrick Levels; DB Troy Stoudermire; DB Adam Thibault. Some prognosticators suggest this could be the beginning of the end for the Stamps’ reign of terror in the CFL. Wishful thinking, perhaps, at least for the league’s other eight teams. The Stamps’ depth across the roster has been the envy of the league, and a year after players like Tre Roberson, Markeith Ambles and Reggie Begelton all became regular contributors, Folarin Orimolade, Wynton McManis, Riley Jones and DaShaun Amos are all candidates to break out in 2019. One area the Stamps won’t need any help at is the O-line, after locking up starters Shane Bergman, Brad Erdos and Ucambre Williams before free agency. American tackle Randy Richards could end up elsewhere, but the group that allowed a league-low 27 sacks last season remains mostly intact. The offence also boasts young, dynamic running backs in Don Jackson and Terry Williams, the latter of whom recently signed an extension. Losing Mitchell, a two-time Most Outstanding Player and the CFL’s all-time quarterback wins leader, would be an obstacle for the Calgary Stampeders — but don’t dismiss the team’s organizational success and the presence of Hufnagel and Dickenson as they look to patch up their roster. Chris Jones left rather abruptly last month when he took a job with the NFL’s Cleveland Browns, but he didn’t hang the Riders out to dry. The club is in a good spot entering free agency, with much of the league’s top-ranked defence in 2019 largely intact. With savings from pending free agents Zach Collaros and Brandon Bridge, new general manager Jeremy O’Day has some flexibility to try and improve the offence and reach the next step in the search for a Grey Cup. With all front office and coaching vacancies now filled, it’s no secret that the quarterback position is the biggest question in Riderville. The search continues ever since Darian Durant was traded two years ago, with Kevin Glenn, Zach Collaros and Brandon Bridge all having varying degrees of success. It’s believed the Riders will pursue one of the big names in Mike Reilly, Bo Levi Mitchell and Trevor Harris, and it’s true that with state-of-the-art facilities, a top-ranked defence and a passionate fan base, the Green and White make a pretty compelling case. But while the Riders have the cap flexibility to make it happen, there will be plenty of competition for those three pivots. Jonathon Jennings and Kevin Glenn are other options, and don’t rule out the return of Collaros, who won his share of games with the team in 2018. 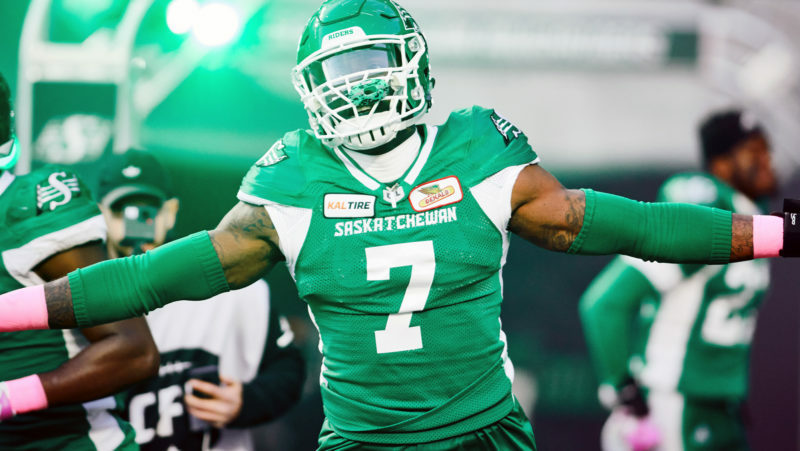 Zack Evans, Mike Edem and Loucheiz Purifoy will be back on the Riders’ defence in 2019, while starters Mic’hael Brooks and Willie Jefferson are pending free agents. 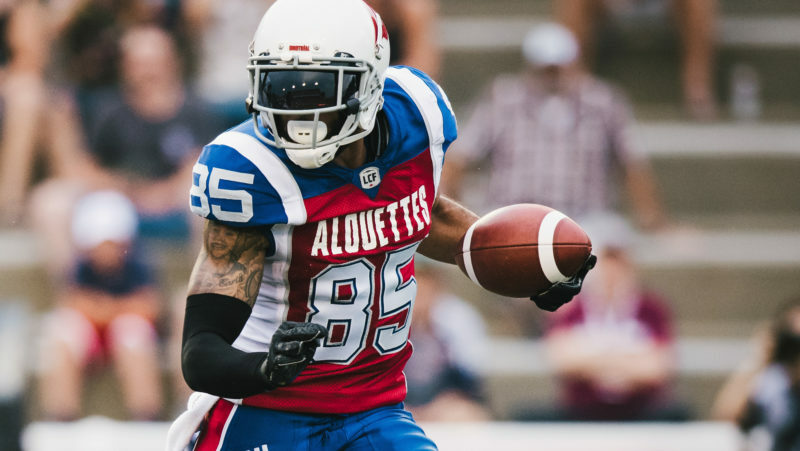 Jefferson is the biggest name on the team’s free agent list, as the 28-year-old is considered the best player in the CFL at his position. After forming the league’s most daunting pass rush duo along with Charleston Hughes last season, Jefferson could be NFL-bound. After watching the defence carry them last season, the Riders are focused on improving their offence. Outside of the quarterback position they’ll need to target some receivers in free agency, as veteran Naaman Roosevelt is a pending free agent while breakout rookie Jordan Williams-Lambert has signed an NFL deal. Kyran Moore and K.D. Cannon, just 22 and 23 respectively, along with Shaq Evans, figure into the team’s plans next season, but more experience is necessary. Despite the departure of Chris Jones, the Riders’ front office has plenty of experience with O’Day and Paul Jones at the helm. Nonetheless, with someone else calling the shots, the Saskatchewan Roughriders are venturing into uncharted waters as an unprecedented free agency period arrives. A busy couple of months could signal a quiet week in free agency for General Manager Kyle Walters, who’s patched and sewn up a number of holes before Feb. 12. The Bombers are one of four teams with their starting quarterback already likely on the roster, while contract extensions for Adam Bighill, Stanley Bryant and Jermarcus Hardrick could leave a little less wiggle room compared to the other eight CFL teams. However, the off-season doesn’t arrive without change in the Manitoba capital. Walters may already have replacements for Matthias Goossen (retired) and Sukh Chungh (free agent on the roster), and linebacker Jovan Santos-Knox and safety Taylor Loffler are also expected to test the open market. The Bombers’ O-line has been a model of consistency in the CFL, with last year’s unit starting 86 of a possible 90 games. The Bombers are well equipped to replace Nic Demski should he walk, with young Canadians Drew Wolitarsky, Daniel Petermann and Rashaun Simonise providing enviable depth at the position. The defensive backfield is more of a concern, where Loffler is joined by pending free agents Brandon Alexander and Kevin Fogg along with recently-released Chris Randle. Even if the Bombers aren’t the biggest spenders in free agency, Walters still has some moves to make. It’s widely expected he’ll pursue one of several high-end receivers on the market, someone to complement top option Darvin Adams. Despite boasting the CFL’s highest-scoring offence last season, the Bombers ranked sixth in the league in passing yards and completions of 30- and 20-plus yards. Greg Ellingson, B.J. Cunningham and DaVaris Daniels are some of the top names available heading into Tuesday. Despite some key departures, Walters has built a lasting core that’s allowed the Bombers to become one of the most consistent teams in the CFL. The next week or two will be about putting on finishing touches. Drew Allemang and Shawn Burke will be quite busy this week, as the newly-named co-GMs approach their first free agent period at the helm of the Ticats. The team has already been busy this off-season, locking up key free agents in Alex Green, Brandon Banks, Jalen Saunders, Richard Leonard and Mike Daly — but there’s work to be done, especially on the defensive side of the ball. Save for a couple of holes on the O-line — tackle Ryker Mathews is NFL-bound while centre Mike Filer is pending free agency — the Ticats are poised to repeat as the CFL’s most productive offence. A year after breaking out as one of the CFL’s top quarterbacks, Jeremiah Masoli is one of just a few starters league-wide under contract, while June Jones returns in the role of offensive coordinator after making way for new head coach Orlondo Steinauer. It’s the other side of the ball that’s worth watching in the coming days. 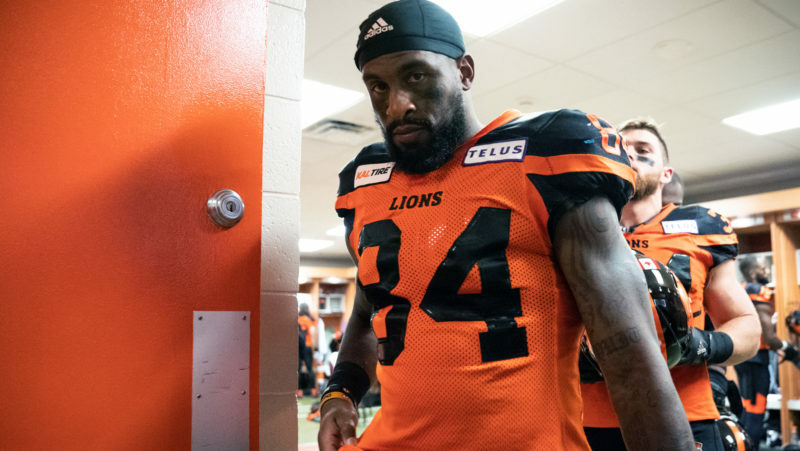 Delvin Breaux, Larry Dean and Don Unamba were key pieces on the CFL’s third-ranked defence last year, and all three are pending free agents in addition to defensive end Adrian Tracy and defensive back Mariel Cooper. With a lot of money invested on offence, Steinauer and the Ticats will have to be picky when it comes to which players — if any — they can afford to re-sign on or after Feb. 12. 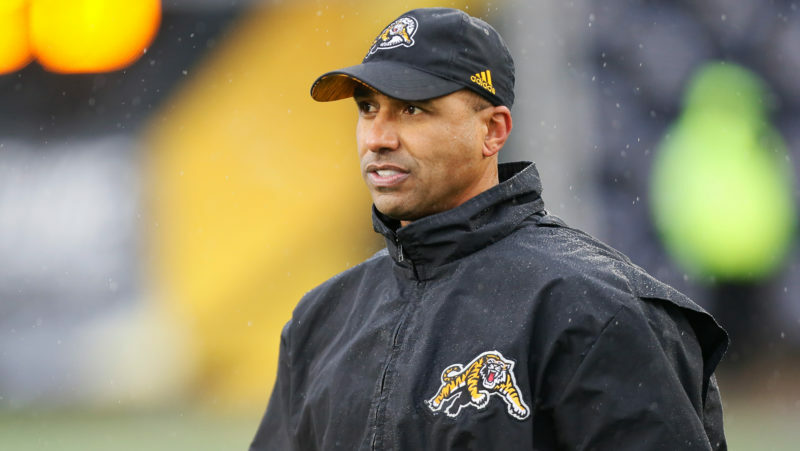 Dean could fetch competitive offers on the open market, as the Ticats could look for a younger, more cost-effective option than the 30-year-old veteran. In the same breath, some changes should be expected after that unit was picked apart by Trevor Harris in the Eastern Final to the tune of a playoff record six touchdown passes. While the Ticats’ offence is sure to make them a contender in 2019, some big additions on the defensive side of the ball could put them over the top in the CFL East Division. The Argos appear to be the biggest wild card heading into free agency. On the one hand, they’re one of just a few teams with the quarterback situation taken care of, as James Franklin and McLeod Bethel-Thompson are both under contract. However, Jim Popp has said the Argos could target one of the top quarterbacks in free agency, with either of Mike Reilly or Bo Levi Mitchell representing an obvious upgrade at the position. In the more likely event the Argos stand pat behind centre, Popp will have money to spend elsewhere. The veteran general manager has done a nice job bringing back core pieces before Feb. 12, extending starters at various positions including defensive back and linebacker. That could allow the Argos to swing for the fences with names like Willie Jefferson, Ja’Gared Davis and Derel Walker. The defensive line should definitely be a top priority for Corey Chamblin’s defence. The Argos’ pass rush was the worst in the CFL in 2018, sacking opposing quarterbacks a league-low 24 times. The lack of pressure was an issue all season, with the Boatmen ranking dead last in the league in takeaways, points off turnovers and points allowed. Part of that could be attributed to the scheme, as the team clearly missed defensive coordinator Chamblin who’s back as head coach, but an elite pass-rusher like Jefferson or Davis would make a difference. On the offensive side of the ball, the Argos are in good shape at running back and on the O-line. Ryan Bomben, Chris Van Zeyl and Sean McEwen form a solid foundation up front, though pending free agent Tyler Holmes would leave a hole at left guard should he sign elsewhere. Running backs James Wilder Jr. and Branden Burks have complementary skill-sets, forming an exciting young tandem in the backfield. 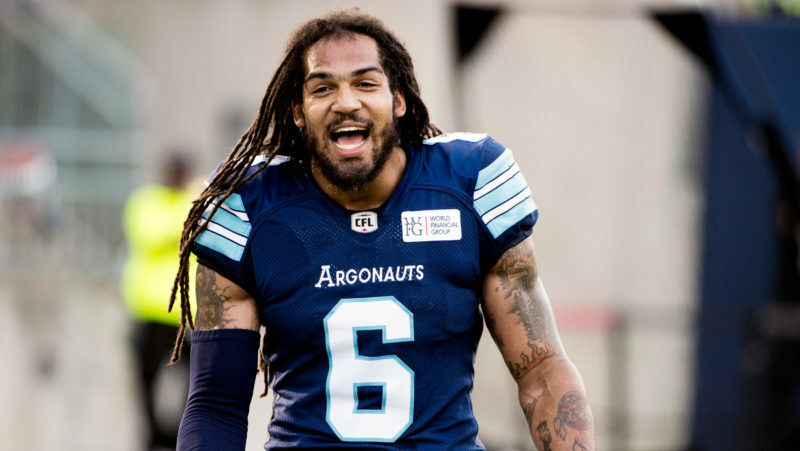 Receiver should be the Argos’ biggest need entering the off-season. They missed DeVier Posey‘s speed last year, while the boundary receiver position was a revolving door. Armanti Edwards and S.J. Green are reliable possession receivers but the offence needs someone who can create separation and stretch the field. Duron Carter, who wasn’t embraced by departed head coach Marc Trestman, could be the answer, while Posey or Stamps wideout DaVaris Daniels are also fits. Chris Williams or Terrell Sinkfield would also speed up the Argos’ offence. One unknown that may not be solved for a while is the status of Ricky Ray. The future Hall of Fame quarterback is still determining his football future as he recovers from a season-ending neck injury. While the Argos would welcome him back, his decision shouldn’t dictate their plans in free agency. The off-season has brought a bit of a plot twist to the nation’s capital, where the REDBLACKS could lose franchise quarterback Trevor Harris. Barring a last-minute deal, Harris will test the open market on Tuesday, when he could receive competitive offers from several QB-needy teams. Those clubs understand there’s a significant drop-off from Harris to the next best option behind centre, making him one of the most coveted players in all of free agency. Marcel Desjardins has refused to bid against himself, while lucrative free agent offers could prove too high to match. 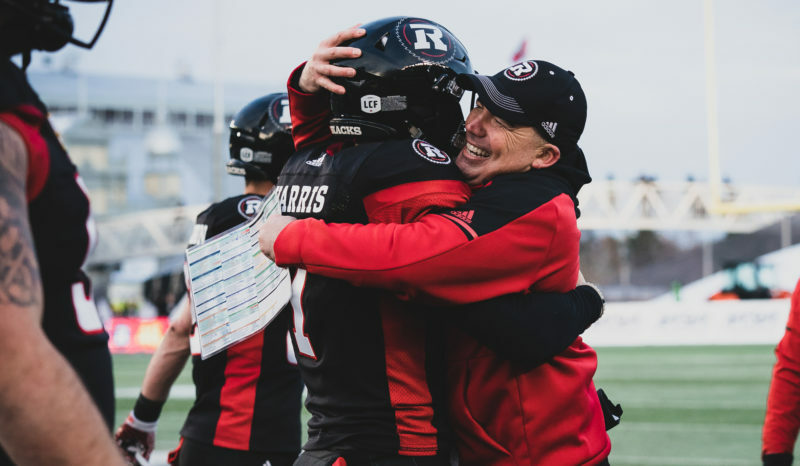 The REDBLACKS’ general manager has taken this path before, and would have a number of options should Harris end up leaving. Backup quarterback Dominique Davis is at least a contingency plan in Jaime Elizondo’s offence, while Jonathon Jennings, Zach Collaros and Kevin Glenn are other available options. As per usual, the REDBLACKS have focused their efforts on the O-line in free agency. Canadian offensive linemen are the building blocks of any offence, and Nolan MacMillan and Jason Lauzon-Seguin are proven starters that are back under contract. While left tackle SirVincent Rogers, one of the best in the business, could sign elsewhere, the REDBLACKS have enough depth and versatility to get by. Who’s catching the ball will be a different story. Diontae Spencer has signed in the NFL while Greg Ellingson is a pending free agent, leaving the REDBLACKS with several holes on the offensive side of the ball. At running back, second-leading rusher in 2018 William Powell is also a free agent, with backup Mossis Madu right behind him. Finding a running back shouldn’t be difficult, with several proven starters across the league becoming free agents. The challenge could be at receiver. RJ Harris showed he can be trusted with an expanded role next season, but the REDBLACKS could use more. Whatever happens, Noel Thorpe’s defence is on track to be one of the CFL’s best in his second season as defensive coordinator. The REDBLACKS have signed Chris Randle and extended Jonathan Rose, completing a proven, veteran secondary that will be difficult to beat downfield. While Kyries Hebert will be allowed to walk, Kevin Brown and Avery Williams, 25 and 24 years old respectively, are promising up-and-comers in the linebacking core. Canadian safety and WILL linebacker Chris Ackie, defensive end A.C. Leonard and receiver Dominique Rhymes are other key players poised to become free agents. In his third year as the Als’ general manager, expect this to be Kavis Reed’s quietest off-season yet. Several of the team’s young players were already extended into 2019, while key pillars Eugene Lewis and Kristian Matte have signed contract extensions for the new season. The Alouettes are hoping their current core — with a new uniform and logo — can build on the success of a 4-5 run to end 2018. At least five teams across the CFL could find themselves in bidding wars this week for the services of three of the league’s elite passers, but the Als aren’t likely to be one of them. While the quarterback situation is far from settled in Montreal, it’s not considered a major need entering free agency as the club considers its internal candidates. Antonio Pipkin and Johnny Manziel are viewed as the front-runners for the job but Jeff Mathews, Vernon Adams Jr. and Matthew Shiltz are also in the picture. One of Reed’s biggest undertakings in Montreal has been the rebuild of an aging offensive line. He’s hoping first-round picks Trey Rutherford and Tyler Johnstone can become pillars in that group for years to come. Na’Ty Rodgers and Tony Washington are candidates to start at tackle, as the Als have the flexibility to start either one or two Americans on the O-line. With Philippe Gagnon pending free agency, the Als could still use some help up front, making it a top need this week. The Alouettes’ defence showed marked improvement over the second half of last season, and several familiar faces will be back. T.J. Heath is a pending free agent, Tevaughn Campbell has gone to the NFL and John Bowman is contemplating retirement, but the Als have some talent on that side of the ball, especially in the secondary, where recent signing Chris Lyles joins Tommie Campbell and Branden Dozier. If Reed is able to hit another home run in free agency, it might be at receiver. With B.J. Cunningham scheduled to hit the open market on Tuesday, it’s no secret the Als could use a proven difference-maker in their receiving corps. Eugene Lewis and Ernest Jackson are two of the team’s top targets going into the new season, as the club looks to complement breakout running back William Stanback with more consistency through the air.